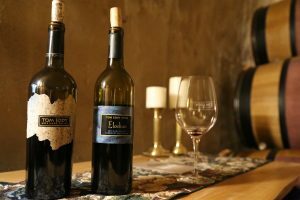 Tom Eddy Wines was founded in 1991 by Tom Eddy, owner and winemaker. He is a graduate of UC Davis in 1974 with degree in Oenology (conveniently his family was already living in the town of Davis after moving up from the Long Beach area to escape the smog and traffic). Over the years he worked at several well known Napa wineries including Christian Brothers (now the Culinary Institute of Greystone in St. Helena) and Inglenook Estate. Along with wine making he would often travel throughout California looking for high quality vineyards that could be sourced by Napa wineries. He has also consulted for wineries in other states and even as far away as Venezuela. His philosophy of looking for the best vineyard sources regardless of location has carried through to his own business. 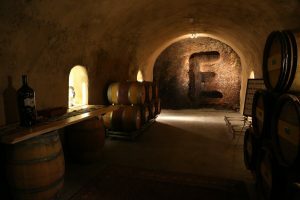 As a result, over the years Tom Eddy wines have come from a number of sources, from California to Oregon and New Zealand. 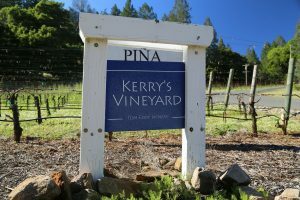 As of the time of this review he sources all the fruit for their wines with the exception of the Cabernet Sauvignon from their tiny 1-acre vineyard on site (named Kerry’s Vineyard after his wife Kerry, a former Sommelier). This vineyard is one of the most northernmost vineyards in Napa County even slightly further north than Storybook Mountain Winery; with the cave now completed this is Napa County’s northernmost winery. Tom and Kerry were looking for hillside property and after 15 years of combing several of Napa’s well-known hillside appellations they found this spectacular piece of property (22 acres). 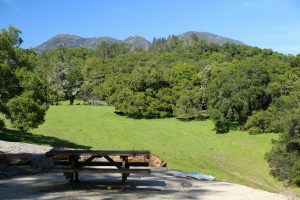 The surroundings will always remain natural and undeveloped as the site is surrounded by property within the Sonoma Land Trust (and a few cattle and wild turkeys to). 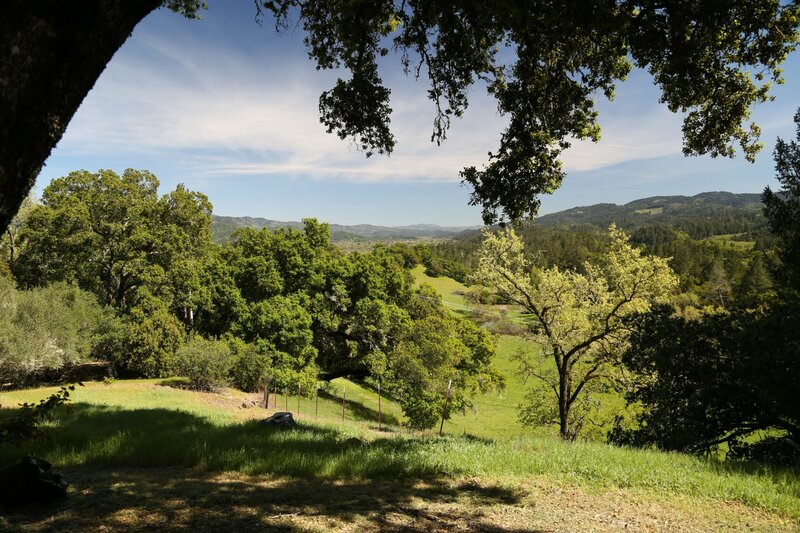 In fact their property straddles the county line (Sonoma/Napa). Incidentally this property used to be owned by Jacob Schram, the founder of Schramsberg. Tom and Kerry are the 4th owners. 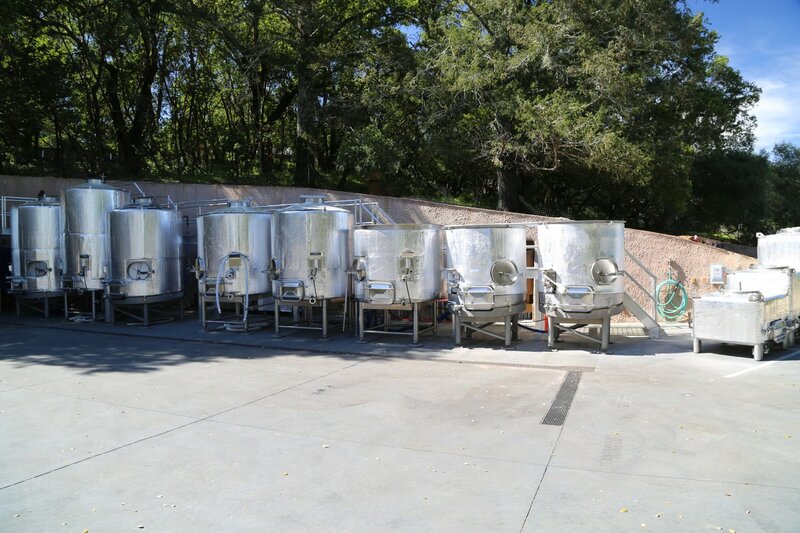 Tom Eddy produces a number of wines including the TENZ (New Zealand Sauvignon Blanc), The Elodian – a tribute to Kerry’s heritage and incidentally a very approachable red wine, the Tom Eddy Napa Valley Cabernet Sauvignon, a Mendocino County Pinot Noir, several other red varietals and two dessert wines. Total production is currently around 5,000 cases. The Elodian is not a typical Napa label if there is such a thing; the multiple sea tortoises give this away. 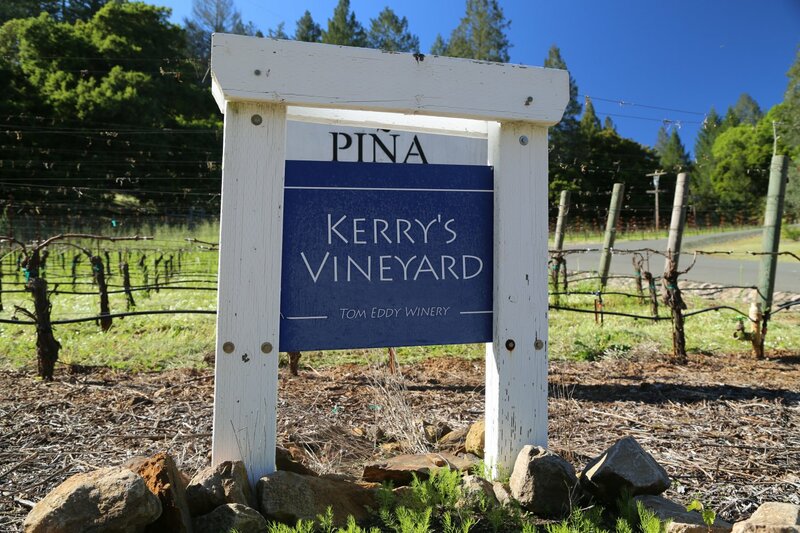 Kerry has a long history of working in the wine industry but this label is more a tribute to her ancestors who sailed from Nova Scotia to the gold fields of California during the gold rush. Along the way they were stuck in the doldrums and ended up anchoring at the Galapagos Islands where they caught a number of large sea turtles. Eventually they arrived in San Francisco very late in the season, poor and almost penniless. After trying to sell anything they thought was valuable, they noticed some of the Asian restaurant owners got word of the turtles and at that point the turtles proved to be their most valuable possession! Tom Eddy used to make two different styles of Sauvignon Blanc (one from New Zealand and one from Monterey – today he focuses his efforts on a New Zealand grown Sauvignon Blanc). We originally tried the 2007 TENZ (an abbreviation for Tom Eddy New Zealand). This lively wine features a Maori influenced label and is sourced from the Marlborough region of New Zealand’s South Island. Despite having the vineyard source located on the other side of the world Tom travels on site at least once a year and is directly involved in the major vineyard and wine making decisions. All wine making for this takes place in New Zealand; the cases are then loaded into containers and shipped to the Port of Oakland. Tom picks the fruit for this a little bit later than many of the nearby vineyards ensuring slightly riper fruit and a nice acid balance. The 2007 vintage has zesty aromas including herbal qualities and notes of lemon and lime. Drinking much more Sauvignon Blanc from Napa than from New Zealand it was pleasant to pick out the Litchi fruit flavors on the palate along with some of the citrus flavors carried over from the aromas. The finish is very crisp and clean. In contrast is the Monterey County sourced Sauvignon Blanc. Tom knew about the high quality of these grapes but was unable to get his hands on these because a local Napa hillside winery was sourcing all the fruit for this wine. Then one day the vineyard owner called Tom and said the fruit was available. No looking back, Tom jumped at the opportunity to make this wine. The aromas on the 2006 vintage are decidedly floral, honeysuckle and tropical with a rounded palate that includes notes of grapefruit, gooseberry and other citrus. Tom Eddy currently produces one Pinot Noir from the very much coastal influenced Manchester Ridge Vineyard in Mendocino County (to the north of the Napa Valley). For a number of years he bought grapes from the Monk’s Gate Vineyard in Oregon’s Willamette Valley and trucked them town to Napa to make the wine. There is a reason for that vineyard’s name: the owners purchased land next to a monastery; two monks used to hunt for mushrooms on site but with the vineyard in the way of their mushrooms they were blocked access (interestingly Tom also enjoys hunting for mushrooms). The vineyard owner saw them looking over his fence several times, and after he found out what they were interested in, he built a special gate! The 2002 Napa Valley Cabernet Sauvignon sees an extra year in bottle and barrel (all French oak) and as a result has had good aging before its even released. This 100% varietal wine is made from free run juice only, from predominately hillside grown vineyards. Balance is a key component of Tom’s wines and this one is extremely well balanced. It is a teeth staining inky dark wine with aromas of freshly picked blackberries and mouth filling flavors of berry fruit, mocha and exotic spices towards the finish. Just the right structure of natural acidity and tannins will ensure that this wine will age very well. After many years of making his wines at other wineries, Tom built a 4,000 square foot cave on the property – tunneled into one of the hillsides. Kerry is an artist and some of her sculptures are featured here. The icon for the cave is a sightly off balance “E” representing ‘Eddy’ that is drilled into native rock in the back of the cave. As they were completing the drilling of the cave, the drill operator wanted to leave a memento carved into the rock. He started carving a “T” for Tom but Tom caught him before he was finished and decided an E for Eddy would be more appropriate honoring both he and Kerry. 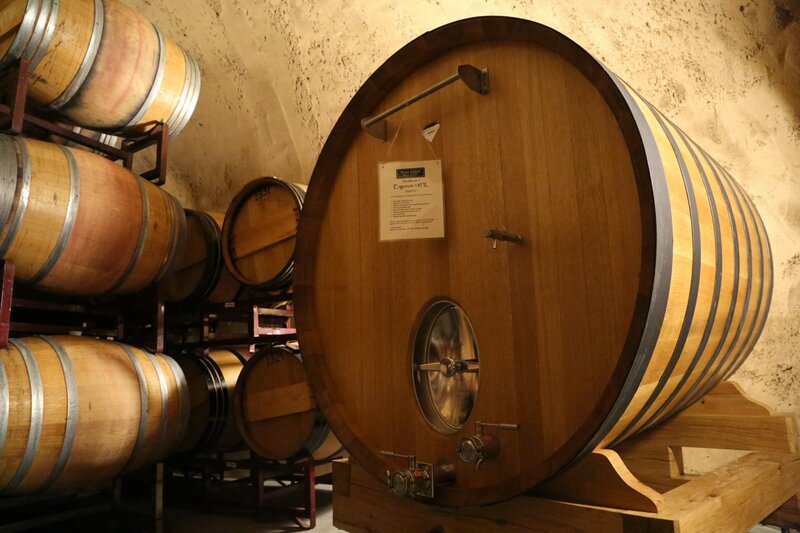 Rather then using the standard ‘Peterson Pallet’ barrel holders invented by Napa winemaker Dr. Richard Peterson, they use curved stainless steel ‘worms’ as Tom calls them to stack their barrels. The advantage of these is they take up less space then the traditional stacking – allowing one to fit more barrels into an equivalent space. Tom’s wines can be found at select wine shops in Calistoga and others throughout the Napa Valley. Visits can be made by appointment and either last 90 minutes or two hours (if a barrel tasting is included). This is a unique opportunity for serious wine enthusiasts to visit with an industry veteran (40+ harvests under his belt); this is a highly personalized, relaxing and educational experience. Just checked out our page on your site. Just a few things we might tweak. There’s a typo (an extra “by”) in the first sentence, and the website address which is no longer tom eddy wines. So the correct address is http://www.tomeddywinery.com. Kerry – good eye on that extra ‘by’! Removed that and updated both your website and also your social media links. Hope everything is up and running smoothly soon – looks like the fire burned all around you but hopefully not to much damage. The first call I received about the fire was like 1 or 2 am that Monday morning about Helena View Johnston going up in flames and I immediately thought of you guys, Perliss Estate, Jax Vineyards, Storybook etc – by that time the fire was already over here (Santa Rosa) and we were fighting it with shovels and whatever else we had at our disposal. We had some bee hives on Charlies property – will have to get those started up again.